Donating blood is an incredible way to get involved in the community and make a difference in the lives of others. Just one donation has the potential to save up to three lives, and though approximately 38% of the total population of the United States is eligible to give blood at any given time, less than 10% actually give blood on a regular basis. This leaves a tremendous deficit in times of crisis, and blood banks are always in need of more donations to be prepared for those who will need blood throughout the year. For some people, myths associated with blood donation can make them wary of donating, or make them think that they are not able to donate. 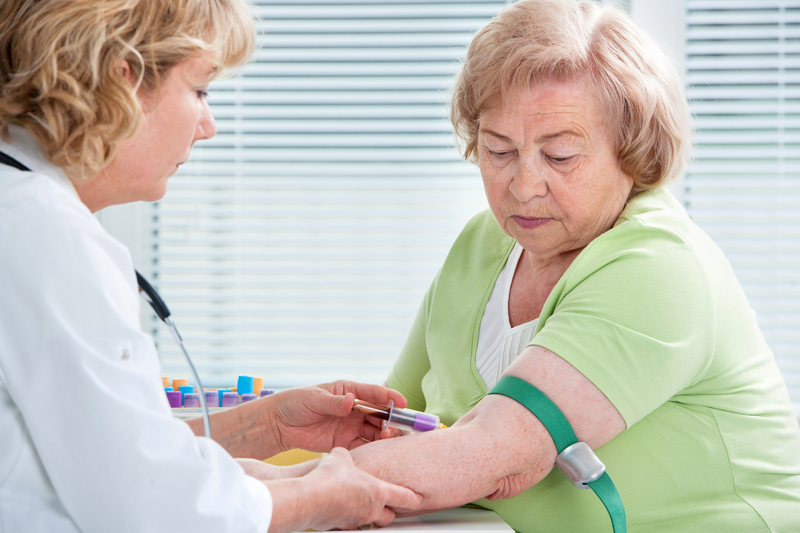 As a family caregiver, it is very important for you to help your parent understand issues such as blood donation myths so they can get full information and truly make the decision that is right for them. -Vegetarians and vegans cannot donate blood. There is a common misconception that people with restricted diets are automatically eliminated from the donation. This is not the case. People eating these diets can be very healthy and have everything they need to donate healthy blood, and to stay healthy themselves. -Giving blood is very painful. Donating blood does require the prick of a needle, but it is a thin needle, likely far thinner than others that you and your parent have experienced before. There may be some soreness after, but it is not enough to dissuade most people. -Seniors are too old to donate. This is a very common misconception and is, unfortunately, perpetuated by some companies that accept blood donations. The truth is, age is not really a factor when it comes to eligibility to donate. What really matters is the person’s health. If your senior is considered healthy in the other areas, then their age does not matter. -Donating blood is unhealthy. In the vast majority of people, there is plenty of blood in the human body to withstand the amount taken in a donation. The body recovers very quickly after the blood is taken, regaining all its red blood cells within about a day or two, and all its white blood cells within three days. Simply because you have made the decision to be a family caregiver for your elderly loved one does not mean you have to do it all on your own. Reaching out for help is a way to make sure that your parent has access to the best care possible, and that you still have the time, flexibility it, and energy to manage your own life as well. Home care is a fantastic source of this help, giving your aging parent a customized approach to care and support designed not just with their needs in mind. Instead of only focusing on health issues, mobility problems, cognitive functioning, or other such issues, this type of care takes a whole person approach. This enables your parent to maintain more independence, experience better mental and emotional health, and enjoy a more fulfilling and meaningful lifestyle.